Long days in the sunshine, day trips, barbecues, and garden parties – only one thing spoils summertime, and that’s mosquitoes! These irritating pests plague campers, hikers and outdoor enthusiasts every day around sunset. Their high-pitched whine and irritating, itchy bites aren’t the only problem, though. Mosquitoes are also notorious vectors for disease and can transmit nasty illnesses to the people they torment. No-one is safe from the bites of mosquitoes; even your pets can suffer from bites around their noses and ears. This is not only itchy but can also transmit serious diseases, such as heartworm, to your beloved pooch. So, how can you keep mosquitoes out of your garden this summer? Read on for the best home-control methods for ridding yourself of everyone’s least favorite insect this summer. Why it is difficult to battle mosquitoes alone? Mosquitoes have a well-established reputation for carrying disease, particularly malaria. So many people die from mosquito-related illnesses every year that these insects are widely considered to be the deadliest creatures on earth. Many of the more serious illnesses transmitted by mosquitoes are rarely seen in the states; however, travelers can easily encounter disease-carrying mosquitoes abroad. Viruses such as Zika, West Nile virus and yellow fever are all carried by mosquitoes found in North America and, though your chances of contracting them are low, all three illnesses can have serious complications. Malaria is one of the best-known and deadliest of all mosquito-borne diseases. Caused by the Plasmodium parasite, this disease can cause fever, vomiting, headaches and, without effective treatment, death. Around 1700 cases of malaria are diagnosed in the states every year. However, most of these are in travelers returning from areas in Africa and South East Asia where the disease is more common. Dengue fever is a painful disease that can cause several debilitating symptoms. Sufferers may experience sudden, high fever, headaches, vomiting, fatigue, a rash and severe pain in the joints and muscles. Although most people recover from Dengue, complications from this disease can be deadly. Yellow fever is another mosquito-borne disease that can quickly turn nasty. Most people who pick up the virus experience fever, muscle pain, headaches, shivers, and nausea before getting better. The less lucky patients enter the ‘toxic’ phase, characterized by jaundice, vomiting, bleeding and a loss of kidney function. Around half of the people who enter this phase will die within a few weeks. The symptoms of Chikungunya are similar to those of Dengue fever. If you are bitten by an infected mosquito, you may experience fever, joint pain, swelling around the joints, muscle pain, a rash or a headache. 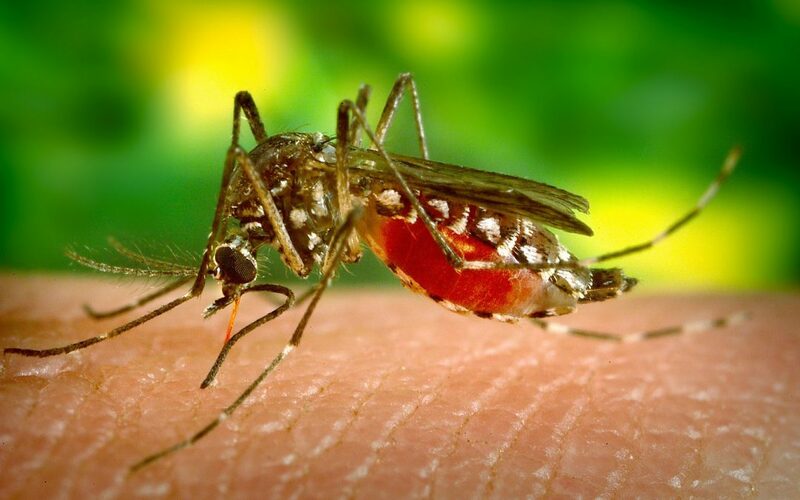 As is the case with Dengue fever, there is no vaccine for Chikungunya and the only way to prevent the disease is to prevent mosquito bites. Zika is a common mosquito-borne virus that has been hanging around the states since 2016. Zika is found throughout North, South and Central America and can cause devastating birth defects in babies born to infected mothers, though most people aren’t even aware that they are carrying the virus. West Nile virus is the most commonly contracted mosquito-borne disease in the United States. Although most people would contract the virus don’t feel ill, one in five will experience fever, headaches, vomiting, diarrhea and a skin rash. In very rare cases (less than 1% of people affected) the disease can result in serious complications, including encephalitis and meningitis. When it comes to successful mosquito control, knowing your enemy is the first step! Familiarizing yourself with the breeding habits, lifecycle and behavior of mosquitoes will help you to optimize your control efforts, for the best possible results. Mosquitoes lay their eggs in standing, stagnant freshwater and are most often found around ponds, marshes and swamps. However, they are also perfectly at home in buckets, tanks, pools, or any other source of standing water. Mosquitoes flourish in hot, humid environments and will often infest sources of standing water in the summertime. Here, they lay their eggs just above the watermark, which will hatch when they become flooded. The mosquito lifecycle takes around two weeks to complete and has four distinct stages. The adult female will lay her eggs (around 100 of them) near the surface of standing water, just above the waterline. Here they will remain inactive until they get wet; mosquito eggs can resist dehydration for up to 8 months, more than long enough to overwinter in the states! Once the area floods and the eggs get wet, they are finally stimulated to hatch into the first of the mosquito life stages – the larva. These ‘wrigglers’ only emerge when the eggs are completely submerged and live entirely in the water. The larva feeds on microorganisms in the water, molting a total of three times before it becomes a pupa (or ‘tumbler’). The pupa stays in the water but no longer feeds. This is the penultimate stage of the mosquito lifecycle and, after a few days, the adult flying mosquito emerges and takes to the air. Adult female mosquitos spend their time drinking blood from animals and humans, which allows her to lay more eggs. Male mosquitoes feed on nectar from flowers and don’t bite people or animals. Mosquitoes are great at tracking us down, but how exactly can they tell when we’re nearby? Scientists have known for some time that mosquitoes are attracted to CO2, and can detect plumes of the gas from distances of up to 50 m. Once your breathing has tipped them off to your presence, they make their way nearer until they can see you. Mosquitoes don’t have the most sophisticated eyesight, but they can spot you standing or sitting up to 10 m away. Now, they’re close enough to use your body heat and even the odor of your skin as a guide, edging closer until they find a sweet spot to land and feed. The ability of the mosquito to use visual, thermal and olfactory cues to find their victims is precisely why it’s so hard to repel them with 100% success. The carbon dioxide we exhale attracts the insects and, once they get near enough, they can see and smell us, too. Without using a cloaking device, we have nowhere to hide. Identifying which mosquitoes species you are up against will help you to tailor your control methods for great results. Learning about the appearance, locations and habitats of the most common mosquito species is a must! Appearance: The Asian Tiger mosquito gets its name from the distinctive white stripe that runs down the middle of its thorax. They measure up to 10 mm in length, with a black abdomen that tapers into a point (a feature that is characteristic of the Aedes genus). Habitat: In temperate climates, the Asian Tiger mosquito overwinters in the egg stage. However, they are active throughout the year in tropical and subtropical regions. Like all mosquitoes, they spend lots of time near standing water, which is where the females lay their eggs. Location: The Asian Tiger mosquito is common in the south and eastern states of North America, especially Texas and Florida. Diseases: Aedes albopictus is a known vector for over 30 viruses, although few of these are harmful to humans. They do, however, transmit Dengue fever and various encephalitis viruses. Activity: The Asian Tiger mosquito prefers warm, humid climates and is only active throughout the year in tropical and subtropical regions. However, they can overwinter in egg form in more temperate climates, emerging once summer rolls around and the temperatures rise. Asian Tiger mosquitoes are daytime biters, unlike many other species which only attack in the early morning and evening. Appearance: The white markings of the Yellow Fever mosquito are similar to those of the Asian Tiger mosquito, so the two are often confused. The Yellow Fever mosquito is smaller, however, measuring 4 – 7 mm in length. It also has a violin-shaped marking on its back, rather than the distinctive white stripe of the Asian Tiger species. Habitat: Yellow Fever mosquitoes thrive in the company of humans and often lay their eggs in the standing water that collects in flowerpots, untreated pools, and drainage ditches. Location: Aedes aegypti, AKA the Yellow Fever mosquito, has been a pest in the United States for centuries. They are especially prevalent in the urban areas of South Florida, though their numbers have declined dramatically since the Asian Tiger mosquito came to town in 1985. Today, the Yellow Fever mosquito can be found in 23 southeastern states, extending as far north as New York. Diseases: As the name suggests, this mosquito species is the primary vector of the yellow fever virus. It may not be a common disease in the United States, but this doesn’t mean you can breathe a sigh of relief just yet. The Yellow Fever mosquito is also known to transmit the Chikungunya and Dengue viruses, both of which can have serious complications. Activity: As with all mosquitoes, the eggs of Aedes aegypti can survive desiccation for long periods of time. This allows them to overwinter in more northerly states, where the temperature drops significantly. In warmer climates, such as those found in the south, they can survive throughout the year. The Yellow Fever mosquito is even more of a nuisance than other species, as they bite throughout the day; not just at dawn and dusk. Appearance: The Common House mosquito is a small to medium-sized insect, usually measuring between 3 and 7 mm long. Their bodies are pale brown with a distinctive, banded abdomen. Habitat: The Common House mosquito thrives in urban areas. They often occupy marshes, ditches, clogged gutters, untreated pools, and water features, where they breed throughout the summer months. Location: Unlike many other mosquito species in North America, the Common House mosquito is found primarily in the northern states. Diseases: The Common House mosquito is a known vector for several harmful diseases, including various encephalitis viruses and the West Nile virus. Activity: The Common House mosquito is only active in the summer months. Once winter arrives, fertile females will take cover in basements, sheds, and caves, where they can overwinter until the outdoor temperature rises again. These pests are most active in the hours after sunset and are often found invading homes in search of a meal. Appearance: This small mosquito reaches around 4 mm in length and has a brown body. The head of this mosquito is light brown, as is the rest of the body. However, their thorax and wings are darker in color. Habitat: The Southern House mosquito loves nutrient-rich, standing water and lives comfortably alongside humans. They will often be found near bird baths, ditches, or anything else containing water, where they will oviposit rafts of up to 100 eggs. Location: The Southern House mosquito is a subtropical species and, as the name suggests, is found in the southern states of America. This pest is especially prevalent in Florida but is also found in California, Virginia, Iowa, and Texas. Diseases: The Southern House mosquito is known to transmit several diseases to humans, some of which can be serious. In particular, this mosquito is the primary vector of St Louis encephalitis virus and is also known to transmit the West Nile virus. Activity: Culex quinquefasciatus is a nocturnal biter, feeding on animals, humans, and birds throughout the night. This mosquito breeds throughout the year in most places and can overwinter outdoors in areas with warmer climates. Knowing the basics of mosquito biology is a fundamental part of their control. By familiarizing yourself with their lifecycle, feeding and breeding habits, you can work out the most effective way of getting rid of them. Unfortunately, eliminating mozzies is never simple. This is primarily down to the way these insects reproduce, as all they need is a source of standing water. For urban mosquitoes, this can be found in every yard in one form or another – disused flowerpots, poorly-maintained water features and clogged drains all make ideal breeding grounds. Successful control must, therefore, be a neighborhood-wide effort. If everyone in the vicinity takes the time to dump out standing water around their home and make efforts to prevent more water accumulating, mosquito numbers can be dramatically reduced. However, this must be a group effort! Mosquito numbers boom during summertime, when the warm, humid weather creates perfect conditions for breeding. This means that backyards are often overrun with clouds of insects, making it difficult for you to enjoy an evening outdoors. Getting rid of mosquitoes in your yard can be tricky and will usually require a multi-pronged attack. By combining primary outdoor control steps with mosquito killers and personal protection products, you can significantly reduce mosquito numbers and avoid bites this summer. The first (and most important) step towards a mosquito-free home is to remove all possible habitats and breeding grounds. Your absolute top priority should be to get rid of any standing water in your yard, as this is where mosquitoes lay their eggs and live out their larval lives. Buckets, ponds, flowerpots, ditches and bird baths all accumulate rainwater, which quickly becomes stagnant. This nutrient-rich soup is a paradise for mosquitoes, so dump it out immediately! You should also make efforts to prevent more water from accumulating, wherever possible. Move buckets and plant pots under cover, and make sure any pools on your property are properly treated and covered when not in use. If you have a water feature in your yard that is difficult to move or empty, you should treat the water with larvicide (more about this in the next paragraph) to put a stop to any mosquito breeding. If your garden is looking a little on the wild side, you should get out the shears and start pruning. Although mosquitoes love warm climates, they aren’t big fans of the midday heat and will usually hide out in shady areas during the daytime. Trimming long grasses, unruly shrubs and rampant bushes can, therefore, remove shade and reduce mosquito numbers. Making sure they have no refuge from the sun is an effective way to rid your property of mosquitoes and should be a top priority for anyone battling an infestation. Once you’ve taken the primary control steps of removing mosquito habitats and breeding grounds from your yard, it’s time to go to war with the remaining mozzies. Mosquito killers come in all different types and forms and vary widely in terms of when and where they can be used. But which is the best mosquito killer for your yard? Chemical control methods can be a highly effective way of reducing the mosquito population in your yard. Deciding which type of chemical to use depends on what stage of the mosquito lifecycle you’re dealing with. If your water features are becoming a mosquito breeding ground, larvicides can be used to kill larva before they reach adulthood. If flying mosquitoes are more of a problem, an adulticide can be used to take down the adult insects. Read on for the best chemical control methods for mosquitoes, and how to use each of them. Larvicides are the best way to tackle mosquitoes in their earliest developmental stages. When newly hatched, the larvae live exclusively in water until they pupate and metamorphosize into their adult forms. If you have a water feature (such as a fountain, pond or birdbath) in your yard, this may be the only way to keep them from breeding there in the summertime. Larvicides are often sold in liquid form, which can be added to water sources as per the directions on the packaging. Once in the water, the larvicide will get to work killing mosquito larvae as soon as they hatch. With fewer mosquitoes reaching adulthood and going on to reproduce, this is sure to effectively reduce their numbers. The relative immobility of mosquito larvae also means they are easiest to control in this stage of their lifecycle. Though often sold as a liquid, larvicides are also available in tablet, pellet and granule form. They are easy to use and, when used according to the label instructions, do not pose any threat to pets, kids or wildlife. Unfortunately, many larvicides require frequent re-treatment for lasting results, which can be costly to keep up if you have a large pond or several water features. Larvicides can also be toxic to beneficial species that usually prey on mosquito larvae, such as fish, dragonfly nymphs and water beetles. Choosing your larvicide carefully is, therefore, essential for long-lasting and environmentally-friendly results. There are several types of larvicide available for domestic use. Of these, bacterial insecticides are widely considered to be among the best. Not only are they entirely non-toxic to humans, the toxin these bacterial agents produce affects only mosquito larva, black flies and fungus gnats. Therefore, they’re the perfect choice for use in your pond, where they rapidly reduce mosquito numbers while leaving other local wildlife unharmed. Insect growth regulators can also be used to kill mosquito larva to great effect. However, these have toxic effects on some fish species and other underwater invertebrates, so are best avoided if you wish to protect the other wildlife in your pond. Best for: Killing mosquito larvae and effectively preventing large mosquito infestations around small ponds and water features. Insecticides used to take down adult mosquitoes are known as adulticides. These pesticides can be sprayed around grasses, shrubs and any other mosquito hideout in your garden to effectively kill the insects. When applying adulticides, you should spray the insecticide where mosquitoes rest. During daytime, this will be under plants and shrubs, in tall grass, in the eaves of houses and other shady areas, where they congregate to escape the heat of the day. Indoors, common mosquito resting spots are behind furniture, in closets, and under sinks. Adulticides can be applied as ultra-low volume (ULV) sprays or using a thermal fogger. These create a very fine mist of tiny droplets that stay aloft for a long time, killing flying mosquitoes on contact. When used this way, adulticides can quickly and effectively reduce numbers of the insects around your property. Adulticides are usually used in small quantities relative to the size of the area of land. This minimizes exposure (and therefore risk) to nearby people and pets. Pyrethroids are a group of synthetic insecticides used to target a wide range of pest species, including mosquitoes. The most commonly used pyrethroid is Permethrin, a neurotoxin that targets adult, flying mosquitoes. It is usually applied as a ULV spray and kills the insects on contact before settling to the ground. As these chemicals are used in small quantities and mixed with water or oil, they leave very little residue behind them. This minimizes their impact on the surrounding wildlife, while effectively killing nuisance insects. When used correctly, they pose very little risk to the environment or human health. Permethrin is, however, a weak carcinogen, so direct exposure to this chemical should be kept to a minimum. Pyrethrins are a naturally occurring insecticide that is found in some chrysanthemum plants. They can be used to effectively kill several insect pests, though they are most commonly used against mosquitoes, fleas, flies, and ants. Pyrethrins are neurotoxins that attack the nervous system of any insect that contacts or eats them. They are often incorporated in sprays or foggers where they take out flying insects before settling to the ground. Although this natural insecticide has limited toxicity in humans, it can cause skin irritation. It is also harmful if inhaled and can cause coughing, vomiting, and difficulty breathing. Organophosphates are highly effective mosquito killers; however, you’re unlikely to see this ingredient listed on pesticides intended for home use. This is because organophosphates are extremely toxic to humans, causing paralysis and death if accidentally ingested. This class of insecticide is, therefore, only used in extreme cases, such as to control outbreaks of mosquito-borne disease. It’s not uncommon for chemical insecticides to make a pest problem worse, as they often kill several different insect species. This can include natural predators of your pest, allowing them to come back in full force after just a few weeks. However, the natural enemies of mosquitoes typically prey on the larvae of the insects, and so live in water. As the insecticides listed here are quickly taken up by plants, and therefore unlikely to find their way into water sources, they should have no impact on the fish, dragonfly nymphs and water beetles that eat mosquito larvae. Best for: Tackling large infestations of mosquitoes in your yard. There are a wide range of mosquito killing, trapping and repelling devices on the market, but which should you use? From foggers to traps, there are lots of different ways to reduce the number of mosquitoes around your home. Read on to find out which works best, and how you should use them for the most effective mosquito control. If your mosquito situation is out of control investing in a mosquito fogger for your yard may be the way to go. These devices create a thick fog that can be sprayed everywhere – over surfaces, into dense grasses and shrubs, and even under floorboards. The active ingredient in your fogger will kill the flying adults on contact, quickly and effectively eradicating clouds of insects. If you want to leave mosquitoes nowhere to hide, and you have a large infestation hanging around your property, this can be the best way to reduce their numbers. But what are the different types of foggers, and what each one does? Thermal foggers use heat to vaporize an insecticide, creating a dense, white mist. The main benefit of thermal foggers is the tiny size of the droplets they produce, which stay airborne for a long time to effectively penetrate thick bushes, foliage, and other hard-to-reach places. They are pretty simple to use – pour in the fogging solution and activate the device to pump it into a heat chamber. Here, the solution passes through a coil which heats it up until it vaporizes. Thermal foggers are powerful devices that quickly create a thick mist that can be sprayed around your yard. However, it is difficult to control the size of the droplets emitted, which can be a problem when tackling mosquitoes. If the droplets are too big, they won’t be airborne for long enough to kill all the insects and will settle before they’ve done the job. Very small droplets, on the other hand, are easily swept away on the breeze, and can only be used in near-windless conditions. Most thermal foggers are compatible with both water and oil-based solutions, so they can be used with a wide range of products. However, they are unsuitable for indoor use. This is because they use high temperatures to vaporize insecticides, which can present a fire risk indoors. They also run on petrol, which can create an unpleasant odor in your house and will leave oily, hard-to-remove stains if spilled. ULV cold foggers use air pressure to produce a very fine insecticide mist. They are cheaper to operate than thermal foggers, as they don’t require any fuel to vaporize the insecticide. The mist they produce is also far less dense, making them more pleasant to use and suitable for indoor use. However, this mist is less visible than that produced by thermal foggers, so it is more difficult to accurately direct into the areas you want to treat. The main benefit of ULV cold foggers is that they are suitable for indoor use. The easy-to-operate devices are quiet, clean and odorless. The fact that they run without the use of fuel also makes them more environmentally friendly and, as an added bonus, won’t leave oily stains on your floors. As with thermal foggers, they can be used with both oil and water-based solutions. Hand pump sprays are manually operated sprayers. They must be continually pumped during use to maintain the air pressure inside the device, making them slightly less convenient to use than thermal or cold foggers. However, as they don’t require fuel or electricity, the maintenance costs associated with this type of sprayer are very low. Hand pump sprayers come in all different shapes and sizes. Some are worn as a backpack, while others are small enough to fit in your hands. This type of sprayer is usually only suitable for use with water-based solutions. Best for: Clearing large numbers of flying mosquitoes out of your garden or backyard. Misting systems can be installed in your yard to kill mosquitoes living in the shrubs and flowerbeds around your property. These devices emit a fine, insecticide mist that effectively kills flying insects. Many misting systems are automated and can be programmed to come on at specific times. Others can be turned on and off manually. These devices are highly effective if programmed to turn on when mosquitoes are most active, e.g. around sunset. If you get a model that can be set using a timer, it can be the most convenient and easiest way of battling mosquitoes in your yard! As with any device that uses pesticides, there is some environmental risk associated with using a mosquito misting system. Depending on the type of insecticide you use, there may also be some risk to the people and animals on your property. If you do decide to install a misting system, carefully consider what type of chemical to use with it to minimize any risk to yourself or others. Best for: Controlling mosquitoes during their active hours. May be costly to install, especially if you have a large garden and need to purchase several units. Mosquito traps are still relatively new on the market but are enjoying a reputation as an environmentally friendly and ingenious method of mosquito control. So, how do they work? Most mosquito traps lure females inside by emitting carbon dioxide. This tricks the mosquito into thinking there is a human nearby, and they venture in looking for a meal. Once inside the trap, the mosquito can be killed in a variety of ways, depending on the individual trap. Some contain a sticky surface that physically traps the mosquito. Some use a fan to suction the mosquito into a net, while others contain an electric grid that zaps them when they land. Besides reducing the number of active mosquitoes in your home, these traps can be used to disrupt the mosquito breeding cycle. Only adult female mosquitoes bite, as they need the blood to produce eggs. Therefore, it is the females that are attracted to the traps, rather than the males, as they follow the plume of carbon dioxide in the hopes of finding a mammal to feed on. Once removed from the general population, they are unable to produce eggs, and the local mosquito population diminishes as a result. Although CO2 traps can significantly reduce mosquito numbers, their effectiveness depends on many different factors. Research has found that the species of mosquito greatly influences capture rate, as some mosquitoes are more attracted to carbon dioxide than others. For example, one study found that although the trap used was successful in controlling populations of Common House mosquitoes, the same trap was ineffective against Asian Tiger mosquitoes. Trap placement is also an important factor. Mosquito traps are more successful when placed in areas with high levels of mosquito activity (for example, around shrubs and grasses). They are less effective when placed in direct sunlight. However, despite their variable results, CO2 traps could be the ideal way to reduce the number of mozzies around your home. This natural, pesticide-free control method is easy to implement and environmentally friendly. Under the right conditions, it can also be highly effective. Unfortunately, successful trap use requires a lot more research than other methods of mosquito control. You need to establish what species of mosquito you are dealing with before you even consider buying a trap, as they don’t work on some species. Best for: Reducing the number of mosquitoes in your home without using chemical products. Keeping mosquitoes off your skin when you’re out and about is the best way to prevent bites. Long, loose-fitting clothing can help to keep insects away, but sometimes it’s simply not enough! So, what are the most effective mosquito repellents for personal protection? Chemical mosquito repellents are the most effective way to stop mosquitoes landing on you over several hours. Sprays and lotions containing DEET are widely considered to be the most effective and long-lasting of these. 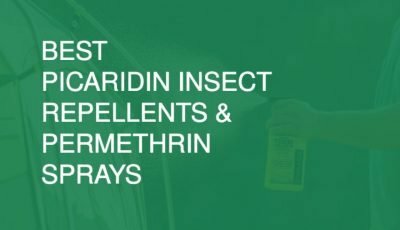 Repellents containing picaridin also have a fantastic success rate for keeping mosquitoes at bay, and permethrin products are great for treating camping equipment and clothes. DEET (AKA N, N-diethyl-meta-toluamide) is one of the most effective and widely-used mosquito repellents on the market. This chemical is often incorporated in sprays, but it can also be found in lotion form. Once applied to the skin, DEET effectively repels mosquitoes for up to 8 hours, leaving you to enjoy your evening without fear of attack! Although DEET is generally considered safe to use, there are some concerns about its suitability for pregnant and lactating women. DEET is also highly irritating to the eyes and may cause skin irritation in some people. In terms of effectiveness, it’s unbeatable – though some people may prefer a gentler product. Repellent lotions and sprays will typically contain between 10 and 30% DEET. The period of mosquito-protection they provide depends on what concentration you opt for. Repellents with a lower concentration of DEET (sometimes less than 10%) will only repel the insects for a couple of hours. Products containing 23% DEET, however, can keep you free from bites for up to 6 hours. Products containing very high concentrations of DEET (30% or higher) are only necessary if you are venturing into a tropical region where mosquito-borne diseases are common, or planning a camping or hiking trip. What’s more, products containing more than 30% DEET are not considered safe for use on young children. Best for: Those looking for the most effective mosquito repellent. A must-have for travelers visiting tropical and subtropical regions where mosquito-borne diseases are common. If you can’t deal with the smell of DEET, picaridin could be an effective alternative. This colorless, odorless chemical is just as effective as DEET when it comes to repelling mosquitoes, but with none of the stink! Picaridin products are usually sold as sprays that can be applied directly to the skin. A 20% solution can effectively repel mosquitoes (and all sorts of other biting insects) for up to 8 hours. Picaridin can also be purchased as a lotion, for even easier application. The only advantage of DEET over picaridin is that its effects are slightly longer-lasting. Nonetheless, picaridin is one of the best chemicals you can use for personal protection from mosquitoes, and the fact that it’s odorless makes it even better. Best for: Evening use and use on children whose skin may be sensitive to products containing DEET. Permethrin is a product that can be applied to fabrics, such as clothing, hammocks, mosquito nets and tents. For lovers of the great outdoors, it’s the perfect product for keeping mosquitoes away when hiking or camping. Permethrin strongly repels mosquitoes for long periods of time. 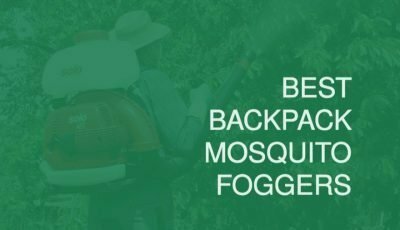 When applied to clothing and camping gear, it can create a mosquito-free zone around you, effectively preventing bites. One of the best things about this insecticide is that it only needs to be applied once – permethrin binds tightly to fibers, staying in place even with washing. Once sprayed, it will provide protection from mosquitoes for up to 6 weeks. If you’re planning a hiking or camping trip this summer, a permethrin spray is a must-buy! Though permethrin generally has very low toxicity in humans, direct contact with the skin when wet can cause irritation. Permethrin products should also be kept well away from cats, as it is highly toxic to felines when wet. Best for: Keeping mosquitoes off you and your gear during camping and hiking expeditions. Chemical mosquito repellents aren’t for everyone, and you may prefer to use something natural to keep the bloodsuckers at bay. Essential oils such a lemon eucalyptus, citronella and thyme have been found to have potent mosquito repelling properties and can be an attractive alternative to those wishing to avoid chemicals and insecticides. Lemon eucalyptus oil is one of the most effective plant-based mosquito repellents you can use. It strongly repels mosquitoes and other biting insects for several hours, keeping you bite-free throughout your evening. The main advantage of lemon eucalyptus oil over other plant-based mosquito repellents is that it’s long-lasting. The active ingredient of most plant extracts is very volatile and evaporates quickly, leaving you unprotected after around an hour. The active ingredient in lemon eucalyptus oil, however, sticks around for much longer, keeping mosquitoes off your skin for several hours. Not only is it effective, but lemon eucalyptus oil also has a fresh scent that’s way more appealing than the chemical stench of DEET. It’s also completely safe to use on the skin and has no negative environmental impact, for a 100% natural way to repel mosquitoes. Best for: People looking for a natural alternative to DEET and for use on children. There are dozens of plant extracts and oils that are reported to repel mosquitoes, but (aside from lemon eucalyptus oil) which of them actually work? Thyme oil is a potent mosquito repellent and can keep those biting insects at bay even when used in low concentrations. Scientific studies have tried and tested thyme as a mosquito repellent and gotten excellent results. Look for a thyme-based natural repellent or make one yourself by combining a few drops of the pure essential oil with a teaspoon of olive oil. Citronella oil is one of the most commonly used natural mosquito repellents. This essential oil, made from a variety of plant extracts, has been used to ward off mosquitoes as far back as the beginning of the 20th century. Today, you’ll find dozens of sprays and other products listing citronella as their key ingredient. As you’d expect from this level of popularity, citronella is a potent repellent against mosquitoes and other biting insects. In fact, studies have found the extract to be as effective as DEET – though the volatile nature of plant oils means the effects wear off much faster. Lavender is another essential oil reported to repel mosquitoes. The fragrance of this particular plant is one of the reasons mosquitoes can’t stand the stuff but makes it a pleasant option compared to chemical repellents. Lavender oil can be applied directly from the plant – simply crush a few of the flowers and rub the oil on areas that are sensitive to bites. Studies on lavender oil have found the plant to have repellent activity against mosquitoes; however, it is not as potent as citronella or lemon eucalyptus. Making your own DIY mosquito repellent from natural oils is both easy and inexpensive. Simply pick up a bottle of the pure essential oil of your choice and mix a few drops with a base oil, such as olive oil or jojoba. Add 3 drops of essential oil for every teaspoon of your base oil, then apply the resultant mixture to your skin. Although natural repellents can provide protection from mosquitos, they are rarely as effective as products containing DEET or picaridin. If you are planning to travel to an area where mosquito-borne diseases like Chikungunya, Dengue or malaria are common, it is advisable to use a chemical repellent, so you don’t pick up anything nasty. Your house should provide some respite from evening mosquitoes, but if the insects find their way indoors, you may find it tough to escape them. Keeping mosquitoes out of your house requires a combination of primary control methods (such as installing mosquito screens) and the use of sprays and traps to take down flying insects. Several mosquito species (such as Southern and Common House mosquitoes) are most active around and after sunset, and many will come indoors in their quest for blood. If you want to be able to safely retreat from mozzies in the evening, keeping them out of your house is a must! Of course, the best way to make sure mosquitoes stay outside is to stop them from entering in the first place. The first step is to identify the entry points around your house. The most common way mosquitoes get in is – surprise, surprise – through open doors and windows. However, this doesn’t mean you have to permanently seal your home. Knowing what type of mosquito you are dealing with can help you to pinpoint their active time, so you can act accordingly. Many mosquito species feed in the two hours around sunset, so tightly shutting your doors and windows around this time of day can be a big help. Unfortunately, if you have gaps around your windows and doors, simply closing them may not be enough. Mosquitoes can sneak in through tiny holes, so it may be a good idea to have mesh screens installed to make sure they can’t get in. Alternatively, an air curtain or ‘fly fan’ can be installed to create a high-velocity airstream over doorways that stops the insects in their tracks. Eliminating water sources and hiding places around your property can also keep mosquitoes out in the summertime. Trim or remove any grasses and shrubs immediately outside your house and dump out any standing water to eliminate breeding grounds. Carefully inspect drains for blockages, especially those near doorways or windows, as these can also harbor mozzies. Physically keeping mosquitoes off your skin is, of course, the best way to prevent bites. If your house is regularly invaded by the insects, however, avoiding them can be tricky. Equipment such as bed nets, mesh screens, and air curtains can all be used to keep mosquitoes outdoors, and to create a barrier between yourself and the bloodsuckers at night. Nighttime is when you are most likely to be attacked by mosquitoes. Not only are many species of these insects most active after dark, but your sleeping form also presents an easy target. Even if you apply mosquito repellent before sleeping, the effects of this can wear off over the course of the night, leaving you to wake up covered in itchy bumps. A mosquito net around your bed is, therefore, a must-have during the summer months. This is the no.1 most effective way of keeping the insects off you as you sleep, as it creates a physical barrier around your body that they cannot get past. Bed nets can be suspended over your bed and tucked in around the corners of the mattress to create an impenetrable barrier around you. 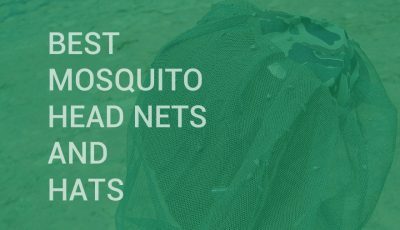 These nets are made of a very fine mesh, with holes big enough to allow air to pass through but small enough to stop mosquitoes in their tracks. As many species of these bloodsuckers are most active at night, a bed net is a valuable item for anyone living or traveling in tropical climates. Easy to buy, simple to set up and highly effective – bed nets are the best way to keep mosquitoes at bay while you sleep! Just make sure you close the mosquito net properly once you’re inside, leaving no gaps for them to sneak in through. Best for: Preventing mosquito bites while you sleep. Mosquitoes can enter homes through tiny gaps, including those around doors and windows. Several mosquito species will enter homes after sunset in search of a meal, so keeping your house properly sealed is the best way to stop them biting you indoors. Make sure that all windows and doors in your home are fitted with mesh screens. This is a simple and effective way to stop bloodsuckers from getting into your house in the evening. Screens should be fitted properly and securely, leaving no gaps for the insects to sneak in through. If you already have screens on your windows and doors, inspect them carefully for holes. Damaged screens should be repaired or replaced immediately to ensure their effectiveness. Best for: Keeping mosquitoes out of your home on a long-term basis. Air curtains (AKA ‘fly fans’) are units that can be mounted above doorways, where they produce a powerful, invisible airstream. The airstream is narrow (usually 5 – 12 cm wide) but with a high-velocity force that insects can’t fly through. Not only does this keep mosquitoes out of your house, but also keeps other flying insects (like flies or moths) from getting in as well. An air curtain creates a physical barrier to your home that mosquitoes can’t pass. If you live in an area where night-biting mosquitoes are common, it’s a must-have, as many species will try to enter homes after sunset in search of blood. Air-curtains are an effective, long-term solution. Once fitted, they can be used indefinitely, and require less maintenance than flimsy screens. However, they can be costly to install if you need to use a lot of them. Best for: Preventing mosquitoes from entering your house via open doors. Sometimes the best way to avoid mosquitoes is to retreat indoors until their activity levels subside and they disappear for another day. If they find their way into your house, however, there’s no escape! So, what can you do when your nets and screens fail to keep your home a mosquito-free zone? If you have lots of mosquitoes flying around your house, shooting them down with an aerosol spray is a great way to reduce their numbers. Sprays that are formulated specifically for indoor use can be used to safely clear large numbers of insects with ease. These kill-on-contact sprays are a fast way to kill a wide range of flying insects and are particularly useful during the evening when many mosquito species are most active. Many insect killer aerosols contain insecticides as their active ingredient. However, it is possible to find organic formulations if you’d rather use a natural product in your home. Whichever you choose, simply spray them in rooms that have a lot of flying mosquitoes to kill the insects before they can bite. Although mosquito sprays are a quick way to clear a room of mozzies, they will only kill the insects you can actually see. While this will give you temporary protection from the insects, it will do nothing to stop them from coming back the next evening. If you have a regular problem with mosquitoes in your house, you will need to use sprays in combination with primary control measures (i.e. sealing the cracks around windows and doors) or products. Best for: Killing large numbers of flying mosquitoes in your house. Products containing insecticides may cause eye irritation, or respiratory irritation if inhaled. Indoor mosquito traps work by attracting and killing mosquitoes in a variety of ways. Some have a sticky paper that the insects get stuck to, others have fans that trap the insects, and some contain electrified meshes to zap them dead. The benefit of using a mosquito trap like this is that it uses no harmful chemicals whatsoever, efficiently killing the insects and bugs with no need for insecticides. Indoor mosquito traps are also a great, low-maintenance way of killing mosquitoes in your house; simply switch them on and wait for them to work. As with zapper rackets and aerosols, however, mosquito traps will only kill the insects already in your house and won’t prevent more from invading. If you think leaving one outside will help, think again; the UV lights and carbon dioxide emissions of these traps can attract more mosquitoes than they could kill when used outdoors. Best for: Reducing the number of mosquitoes in your house without the use of chemicals or sprays. Bug zapper rackets may be the most satisfying way to kill mosquitoes indoors. One swing and a zap is all it takes to instantly kill an insect or bug, without unleashing chemicals in your house. Zapper rackets are easy to find and even easier to use, allowing you to swipe away incoming mosquitoes as you relax at home. This is a very effective way to take down the odd evening mosquito; however, it’s not going to be of much help if you are battling a large infestation of the insects. A zapper only lets you target the insects you can see, so if there are large numbers of them hiding out in your home, most will escape. Best for: Killing the occasional mosquito. If your indoor mosquitoes are getting out of hand, it may be time to take more serious measures. Indoor insecticide formulations for mosquitoes are usually distributed using a hand-pump spray, or with a ULV fogger. Both can create a thick mist of mosquito-killing vapor that will disperse throughout your house, killing all insects within. Once dispersed, the insecticides will settle over exposed surfaces, effectively treating areas where mosquitoes rest and killing them on contact when they land. For people with large or recurrent mosquito infestations, this is a better option than aerosol sprays, as they can help to prevent the insects from returning. Insecticide foggers are a very effective way to eliminate mosquitoes; however, this is an extreme solution that should only be used as a last resort. Call in a professional to handle the operation and follow safety directions with care. This often means leaving your house for a period of time during and after treatment. Best for: Dealing with a large, indoor infestation of mosquitoes. Not all anti-mosquito products are born equal. While some methods of repelling or eliminating mosquitoes from your home can be highly effective, others only have partial results. Products such as repellent candles, bands and bug zappers can all be used to reduce mosquito numbers and bites, but how well do they actually work? Mosquito zappers are electronic devices that work by attracting mosquitoes using ULV light and electrocuting them when they land. These can be installed in your house or yard to clear away some of the insects and bugs but won’t have a significant impact on reducing the number of mosquitoes flying around outdoors. Although this can help to lower mosquito numbers, it won’t completely eliminate them, nor will it prevent more from arriving. Therefore, zappers are best used alongside primary control measures, as well as another method of killing mosquitoes both indoors and outdoors. For better results: Use an aerosol spray (indoors) or a mosquito fogger (outdoors) to kill more mosquitoes at once. Mosquito candles often contain plant essential oils known to repel mosquitoes, such as citronella. When lit, the oils evaporate into the air and should help to keep mosquitoes out of your immediate vicinity, protecting you from bites. From the plus side, Citronella candles are 100% natural, cheap to purchase and convenient to use, making them a popular option for repelling mosquitoes. Unfortunately, although somewhat effective, they can’t give you as much protection as a spray applied directly to the skin. They are, therefore, best used in combination with other protective measures, such as a DEET or picaridin-based spray. For better results: Use DEET, picaridin or natural oil based repellent sprays that need to be applied directly to the skin. Mosquito bands are great in theory; a wearable device that you can place on your wrist to keep insects well away from you, without any need for sprays. But do they work in practice? Kind of. Some bands contain metofluthrin, a pyrethroid insecticide that is released from the band as a vapor. This invisible mist can give the wearer some protection from mosquitoes but is very unlikely to repel 100% of the insects. However, many wearable devices don’t contain metofluthrin and have little to no repellent effects. If you are considering purchasing a mosquito band it is, therefore, important to do your research and find one that works. Even so, they should be used alongside a repellent spray to be fully effective. For better results: Use a mosquito repellent spray to protect your skin from bites. Mosquito coils are a widely used and highly effective method of repelling mosquitoes. These combustible coils can burn for up to 12 hours once lit, releasing a vapor that clears all mosquitoes out of the surrounding area. Mosquito coils may contain insecticides (like picaridin) or plant extracts (such as citronella) but were traditionally made from pyrethrum. This mosquito-killing extract of the Chrysanthemum has insecticidal properties, so lighting a coil in the evening can work wonders for preventing bites. Unfortunately, the smoke released by mosquito coils is extremely harmful to human health – even if you opt for the traditional, plant-extract containing ones. Each coil emits large amounts of toxic chemicals (such as formaldehyde) and lung-destroying fine particles. In fact, burning just one coil can release as many pollutants into your surroundings as over 100 cigarettes, many of which are known carcinogens. They may be effective repellents but, in terms of human toxicity, are one of the worst options for mosquito control. For better results: Choose a non-toxic alternative for evening mosquito control such as spray repellents. Therma-cell devices are portable machines that can be set up in your yard to repel mosquitoes throughout the evening. Often powered by fuel rather than electricity, these contraptions emit active ingredients with repellent properties to create a mosquito-free zone outdoors. This is very useful for people hoping to enjoy a camping trip or an evening barbecue undisturbed by mosquitoes. It can also save you the effort of applying and reapplying repellent sprays; simply switch on the device and leave it to do its work. Although these devices are reported to work well in terms of their repellent effects, they may not be suitable for everyday use. This is down to the amount of fuel they consume. One canister can be burned up in as little as 12 hours so, if you’re looking for a way to keep mosquitoes away night after night, this is not a cost-effective option. For better results: For shorter periods, repellent sprays will provide cheaper and better protection, and for long-term mosquito control, stick to the primary control methods together with larvicides, foggers or traps. There are numerous species of plants that are reported to repel mosquitoes. Extracts from many of these plants (like lavender, lemon eucalyptus, basil, thyme, and geraniol) have been found to be effective, so planting some of them around your home could help to keep mosquitoes away. Unfortunately, if you already have a mosquito problem, this is unlikely to make much difference. Although the scent of many plant species can have deterrent effects on the insects, this effect is not strong enough to repel large numbers of mosquitoes. What’s more, planting lots of flowers and shrubs near your house will create more shady areas for mosquitoes to hide in and may even encourage more of the insects onto your property. For better results: Start with primary control methods and combine them with larvicides, foggers, traps and other long-term mosquito control methods. The mosquito has several natural enemies that can be utilized to help control an infestation. Many of these (for example fish, dragonfly nymphs and diving beetles) hang out in aquatic habitats and will feed on mosquito eggs and larvae. If you have a pond or water feature on your property that you know to be a mosquito breeding ground, releasing a large number of these critters into the water can be an effective biological control method. By making sure your mosquitoes never reach adulthood, you can interrupt their breeding cycle and reduce the number of flying mosquitoes around your property. Some species of mosquito predators, such as Gambusia affinis (the mosquito fish) are also resistant to larvicides. This means you can use them alongside chemical control methods, so you can wipe out even more mosquitoes around your home. Other species, such as dragonflies, bats and some bird species (like purple martins and swallows) eat adult mosquitoes. Encouraging the presence of these can help to reduce the number of flying mosquitoes in your yard. For better results: use in combination with other control methods, such as larvicides. Ultrasonic, or ultrasound, devices may seem like a perfect solution to your mosquito woes. According to the advertising, these devices emit a high-frequency tone that mosquitoes can’t stand. Anywhere that has an ultrasonic device plugged in and running will, therefore, be given a wide berth by the insects and bugs. This could eliminate all need for sprays, chemicals, foggers, nets, and traps – if only they worked! According to scientists, these ultrasonic emissions have no repellent effect on mosquitoes whatsoever. Therefore, they cannot be recommended as a mosquito control method, save your money and stick to primary control methods alongside mosquito killing products and repellent sprays. Mosquitoes can be a nightmare to get rid of, especially as doing so effectively requires effort not only from you but also from your neighbors. Unless primary control measures (especially dumping out standing water) are rigorously enforced up and down your street, mosquitoes will often persist throughout the summer. In most cases, this can be managed with the use of repellent sprays and insect killing products such as larvicides and insecticides. If you have a large and persistent infestation of mosquitoes, however, you may find you are getting bitten day after day, whatever you try. This can be a significant health risk, as the more you are bitten, the greater your chances of contracting a mosquito-borne disease. Even if you don’t, constantly battling these bloodsuckers can seriously take the shine off your summer! If your best efforts aren’t working and your yard and house are overrun by mosquitoes, it may be time to call in professional help. A pest control expert will be able to quickly and accurately assess your situation and will be able to implement the most effective treatment for your needs. Usually, they will create an integrated pest management action plan that may include getting rid of all mosquito breeding areas and the use of ULV foggers or another device for spraying large quantities of insecticide through your house and garden. These treatments are intensive and often highly effective but should only be performed by a professional! Mosquitoes are one of the world’s least favorite pests. Not only are these bloodsuckers irritating, but they can also transmit nasty diseases to those they feed on. Fighting mosquitoes can be a summer-long task, as these biting insects are notoriously difficult to control. Unless your whole neighborhood engages in primary control measures, such as dumping out stagnant water and treating ponds and pools with larvicides and/or other chemicals, you’re unlikely to be free of the insects until winter rolls around again. However, there are steps you can take to keep mosquito numbers in your yard and home to a minimum. Repellent sprays containing DEET or picaridin are highly effective for keeping mosquitoes off your skin. When camping, a permethrin spray can be the most effective way to create a mosquito-free zone around your campsite. Insecticide treatment with mosquito foggers, hand pumps, and misting systems will kill most adult mosquitoes while larvicides will get rid of mosquito larvae. Mosquito traps can also help in reducing mosquito numbers in your backyard. Clearing clutter from your yard and sealing gaps around windows and doors can help to keep the insects out of your home. Aerosol sprays and indoor traps can also be used to reduce the number of flying mosquitoes in your house. If all else fails, call in pest control company to deal with the problem for you. Professionally made integrated pest management plan together with intensive insecticide treatments can provide lasting protection from mosquitoes both outdoors and indoors, so you can get through the summer with as few bites as possible.